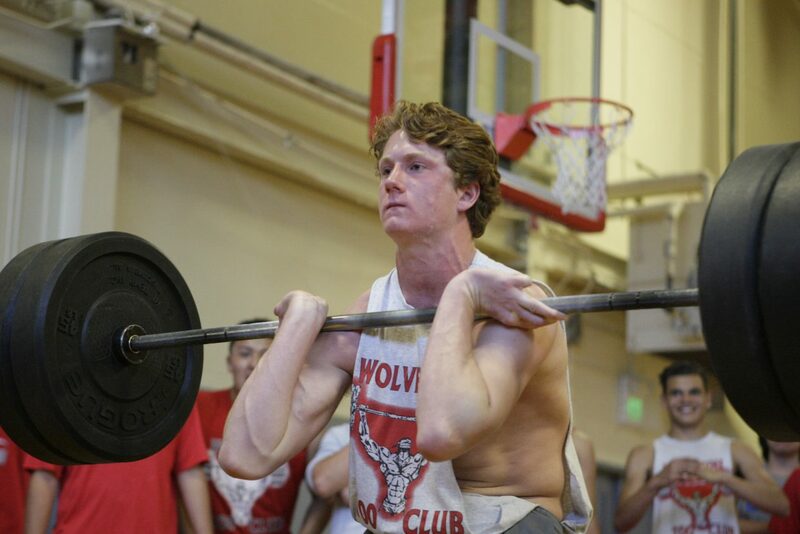 Truckee's Sean Kelly attempts to power clean 235 pounds on Wednesday, June 6, after setting a school record with a 225-pound lift. 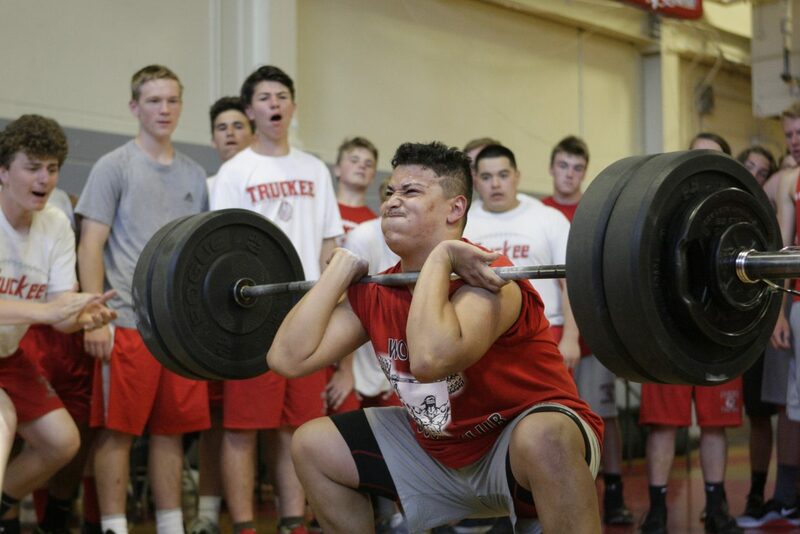 The Truckee football team hosted its biggest fundraiser of the year on Wednesday night, packing the school’s old gym for the 37th annual Truckee Lift-a-Thon. 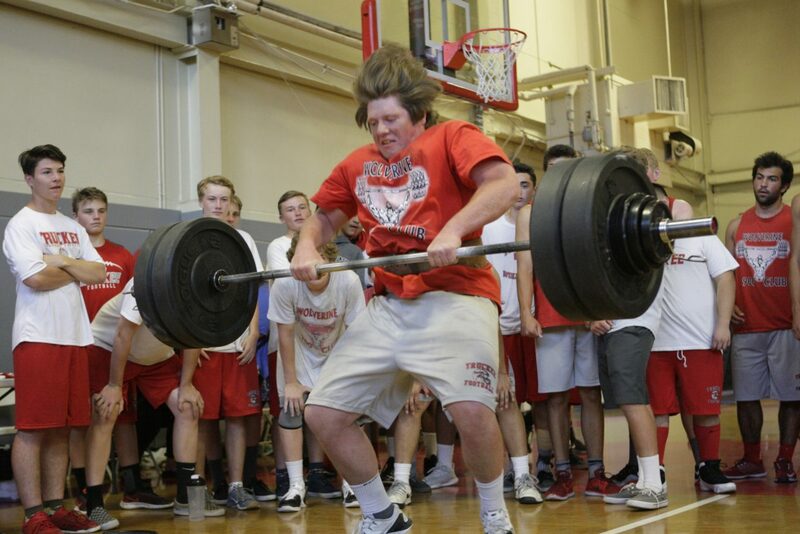 This year’s event took on special significance as junior Sean Kelly looked to break the school record of 315 pounds in power clean. 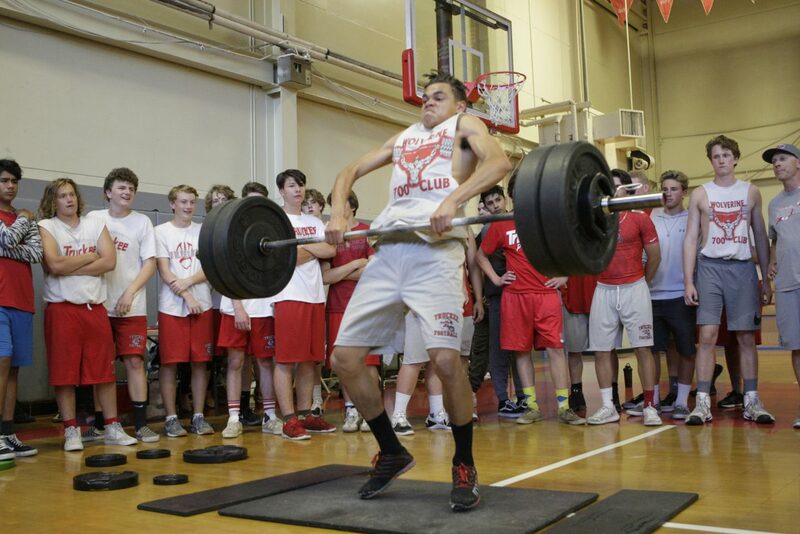 Kelly opened the afternoon with an attempt at 300 pounds, but wasn’t able to complete the lift. 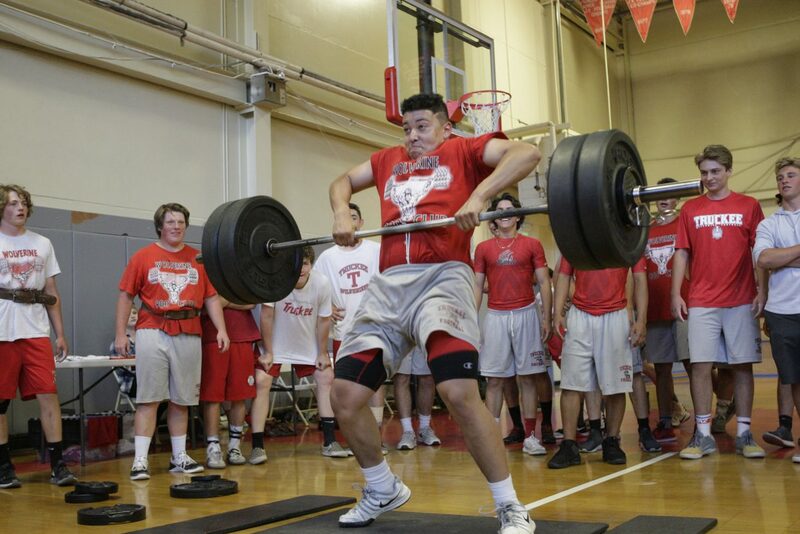 With the crowd yelling and teammates behind him, Kelly went straight for the record at 320 pounds after missing on his first lift. 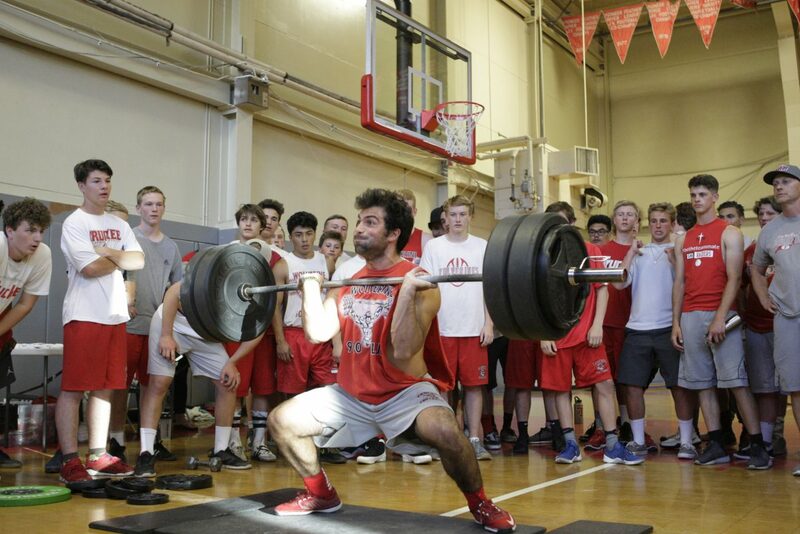 The Wolverines running back and free safety exploded the weight up, and then powered through for a school record as the gym erupted in applause. 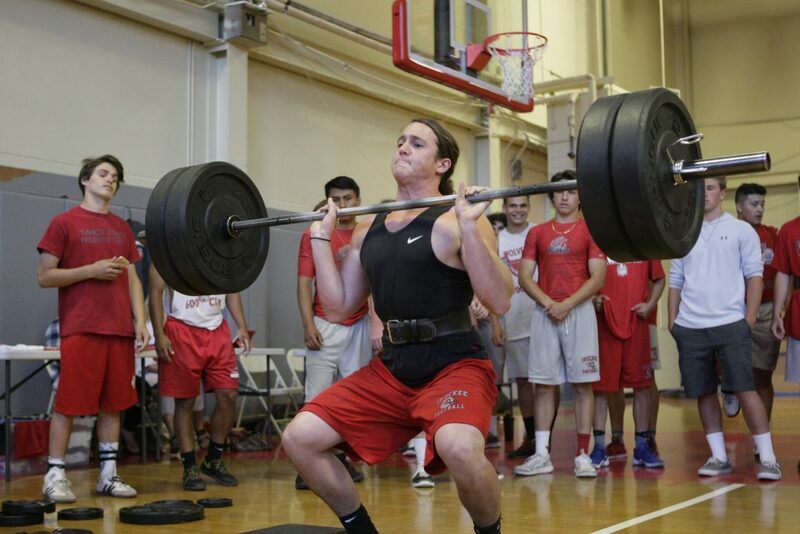 Kelly would attempt 335 pounds afterward, but wasn’t able to complete the lift. 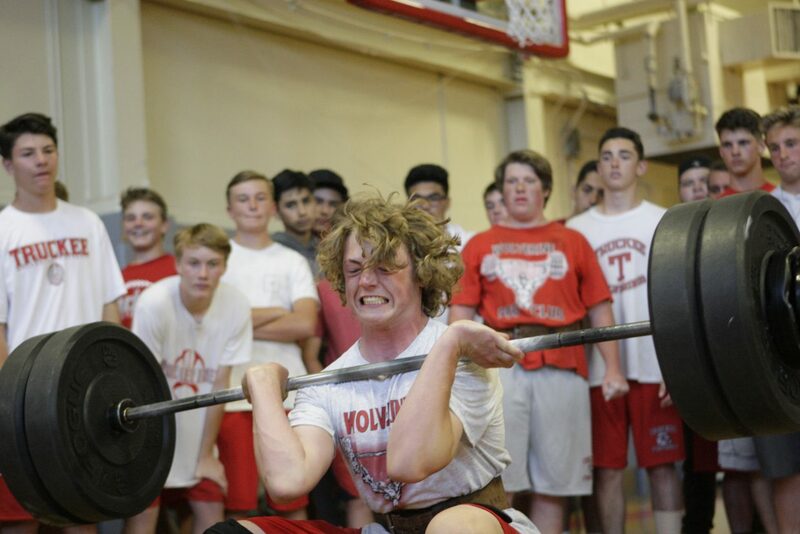 Several other Wolverines set personal records at the lift-a-thon, which also included bench press. 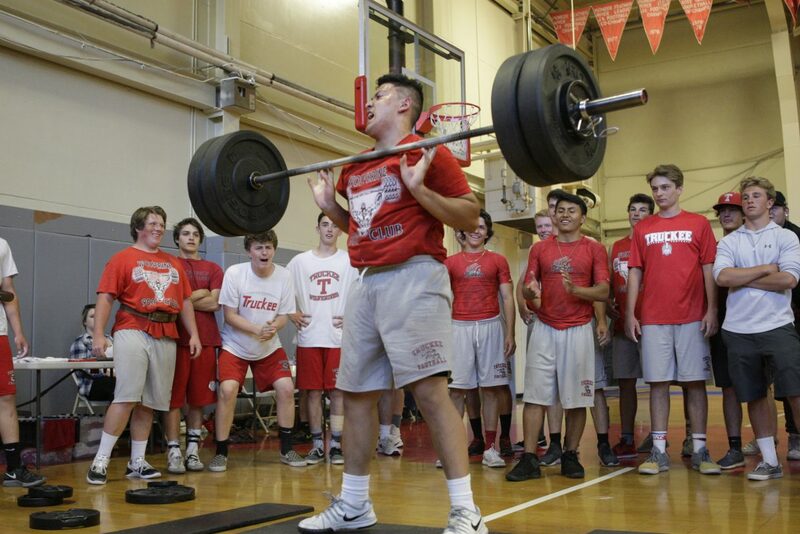 Junior Jackson Skaff hit a personal record of 285 in power clean, fellow junior Alex Freeman topped out at 260, sophomore George Skaff lifted 255, and junior Kevin Malo cleaned a personal best 245 pounds. 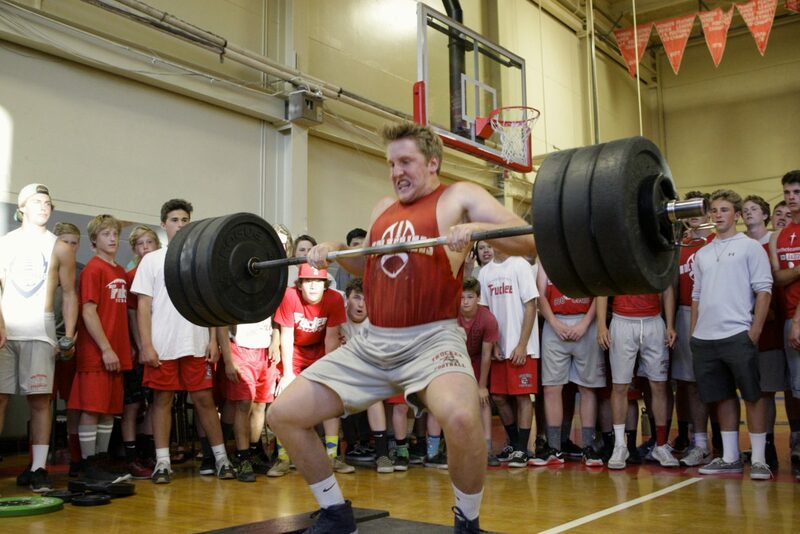 The Wolverines raised nearly $25,000 ahead of the lift-a-thon for the upcoming season. 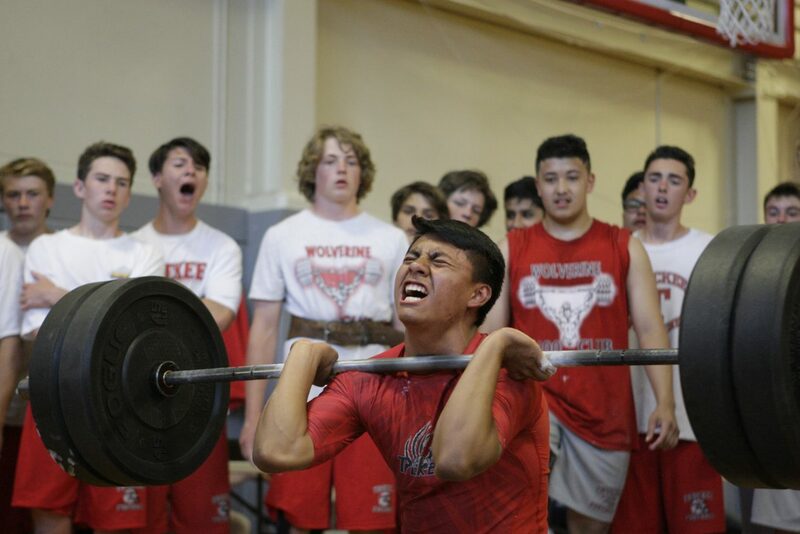 Truckee opens the 2018 campaign at home on Aug. 18, against league rivals Fernley.